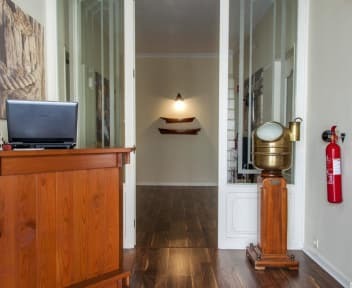 Urban House Hostel v Setubal, Portugalsko: Zarezervujte nyní! The Urban House Hostel was built as a family home in 1968 and it was the house of four generations to date. All the family depends on the sea and river activities. As a symbol of this, the house is decorated with some old nautical pieces. 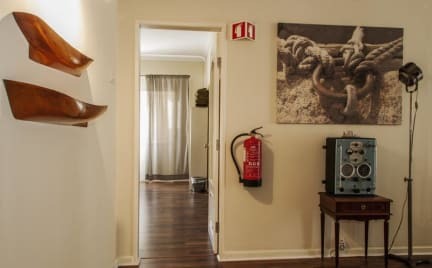 We offer a cozy and friendly environment so our guests can feel at home. We have three dorms with four beds, twin bunk beds, shared bathrooms, kitchen, dining room with TV, reading room, outdoor patio, washing machine, free WiFi and parking for motorcycles. Urban House Hostel is 15 minutes walking distance from the Bus Terminal, and also 10 minutes walking from the city center where you can find the main cultural spots, such as ‘Casa da Cultura’ (Culture House), ‘Forúm Luísa Todi’(Luísa Todi Theatre), as well as restaurants, bars and nightclubs. You can sit on one of the terraces and enjoy the view of the sea, as well as eat some tasty fresh fish. About 10 kilometers away we have beaches, ‘Figueirinha’, ‘Galapos’ and ‘Portinho da Arrábida’. You can also cross the river Sado and visit 'Tróia', with its famous white sand beaches that extend for several kilometers.